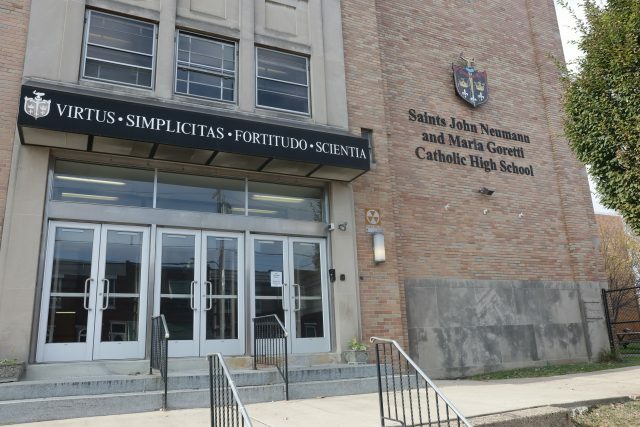 Saints John Neumann & Maria Goretti Catholic High School is asking for local business support – but not in the usual way. Under Pennsylvania’s Educational Improvement Tax Credit (EITC) and Opportunity Scholarship Tax Credit (OSTC), businesses can redirect their PA state tax obligation to need-based scholarships at the school, located at 1736 S. 10th Street. 2019 will mark the 85th anniversary of Southeast Catholic – the prelude to Bishop Neumann and Saint John Neumann – and the 60th anniversary of the first graduating class of women to attend all four years at Saint Maria Goretti; milestones that set two institutions on a course to become one many years later. With an annual budget in excess of $5 million, the school must raise the funds necessary to cover expenses associated with running a first-class academic institution. “Businesses complete a few forms, write a check and receive a tax credit from the Commonwealth. By doing this, they can keep tax dollars right here in your neighborhood,” says Joseph M. McColgan, President of Saints Neumann-Goretti Catholic High School.